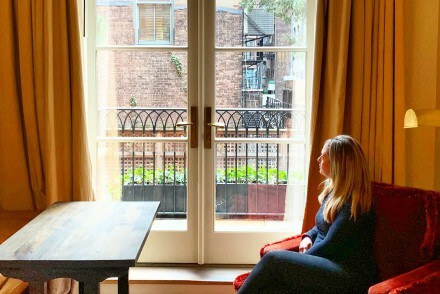 When I talk to other fashion bloggers, I always ask them a bit about their workflow for editing photos. Most tell me that they use Photoshop to edit their photos, but a surprising number have never even heard of Lightroom. That is surprising to me because Lightroom is the application that I use the most when I am editing fashion blog photos. 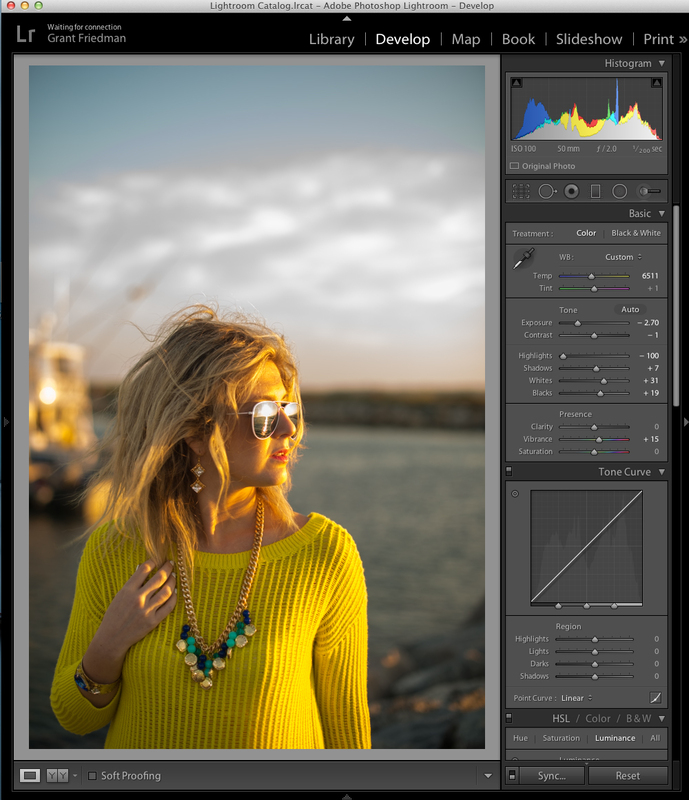 While Photoshop is an amazing application for editing photos, it is only meant to work with one photo at a time, and it doesn’t give you the ability to organize your photos in any meaningful way. For as long as I remember, I have had a fascination with Swarovski Crystals. I am a girl in love with all things that sparkle, so it is only natural for all of my accessories to be crystallized, starting with my iPhone. I recently designed the Sunburst Chevron iPhone Case, created with Rose, Fuchsia, Citrine, Aquamarine, and AB crystals, organized into a chevron pattern. It takes many hours for me to crystallize these iPhone cases however in this video, you will get a quick, behind the scenes look at the creation of my crystallized masterpiece. 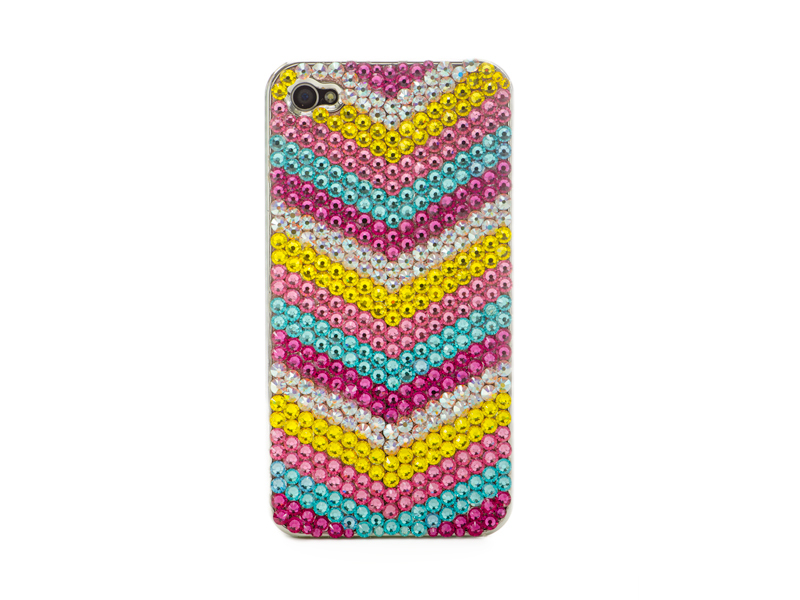 The Sunburst Chevron iPhone Case can be purchased in our online shop. When I was engaged, I spent months searching for the perfect bridal accessories to wear with my wedding gown. Oh, the options! 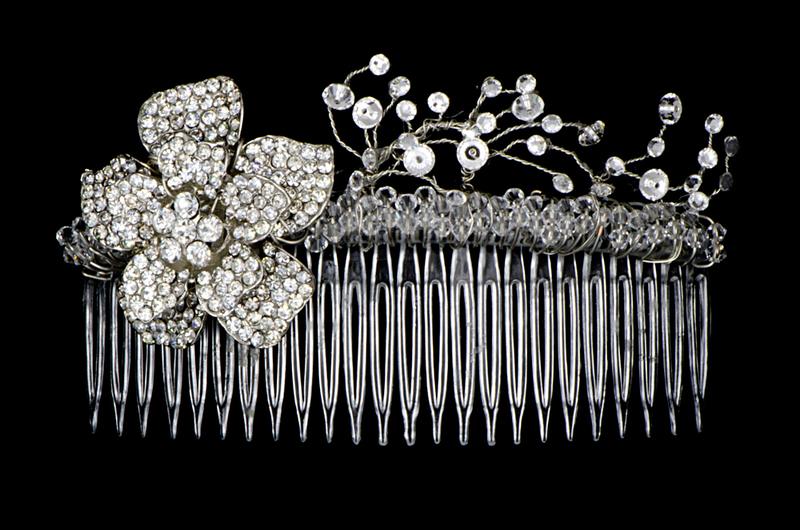 I found floral combs made of crystals, pearls, intricate beading, brooches and feathers. This was my one and only wedding. My accessories had to be absolute perfection. Through my extensive search, I fell in love with these glittering, delicate combs. Inspired by my own bridal comb, I have created this lovely Vintage Floral Bridal Comb, handcreafted with Swarovski crystals, beads, and a crystal flower. Learn to create your own bridal comb for your special day in this tutorial. You may dream of a bridal bouquet that is arranged with gorgeous cotton candy-like peonies. Floral bridal bouquets can be quite pricey however, and to make matters worse, they are thrown out at the end of the evening. While most of us probably don’t have access to fields of homegrown flowers, there is a DIY option. 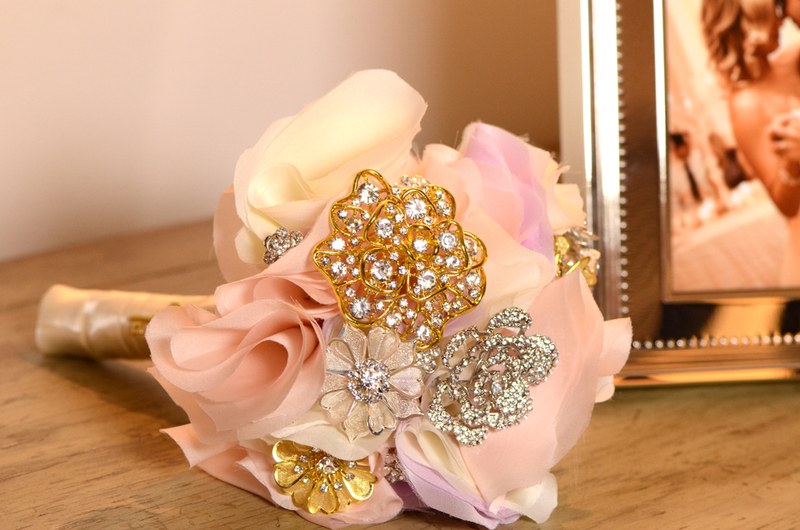 In this tutorial that I wrote for Crafttuts+, you will learn how to create your own beautiful bouquet full of handmade silk flowers, vintage crystal brooches, and a token vintage key that you can keep as a lasting memory from your special day. Congratulations, you’re engaged! And now comes the fun part – creating your dream wedding. There are loads of accessories to think about – from your veil and shoes to your headpiece and earrings. If you’d like to keep costs down and bring a beautiful handcrafted element to your bridal attire, you can make your own bridal sash. It could become a family heirloom in years to come! 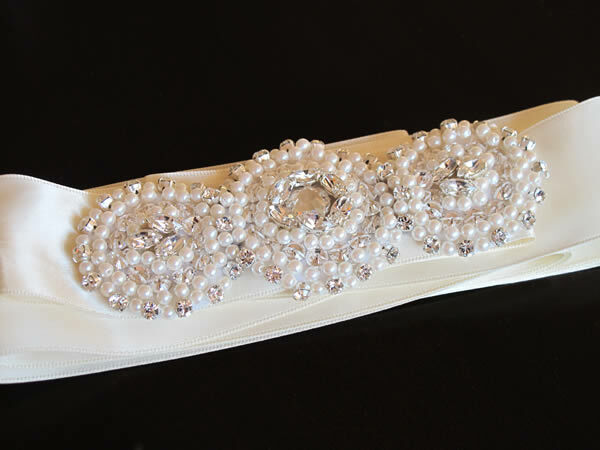 In this tutorial that I wrote for Crafttuts+, you will learn how to create your own bridal sash using Swarovski crystals that will be “the perfect one” for your wedding day. Neon colors have made a huge comeback this year. We love combining our beautiful brights, with rich, saturated colors. Now add a bit of gold chain to create a glamorous twisted ribbon necklace. In this tutorial that I wrote for Crafttuts+, you will choose several ribbons, and a variety of gold chain to create the perfect color scheme for your own Neon Ribbon Necklace. 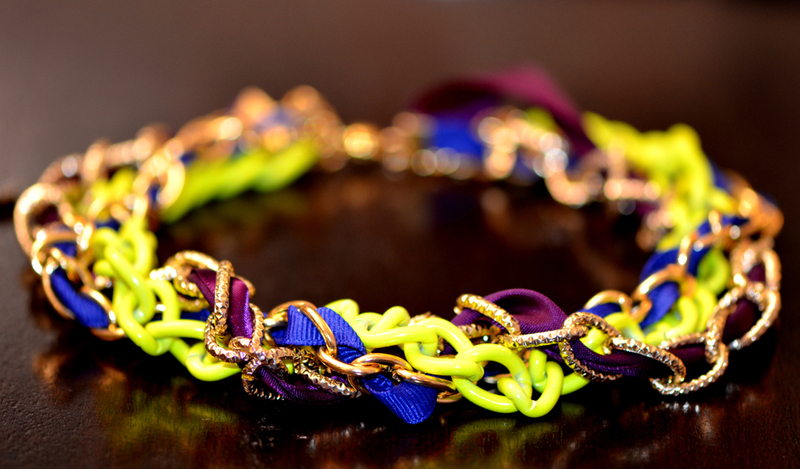 Friendship bracelets are the number one guests you want to invite to your arm party. Once a craft loved by kids of all ages, these brightly-colored armbands have made quite the comeback. Braid them, stack them, embellish them, or trade with friends, these woven beauties are everywhere. 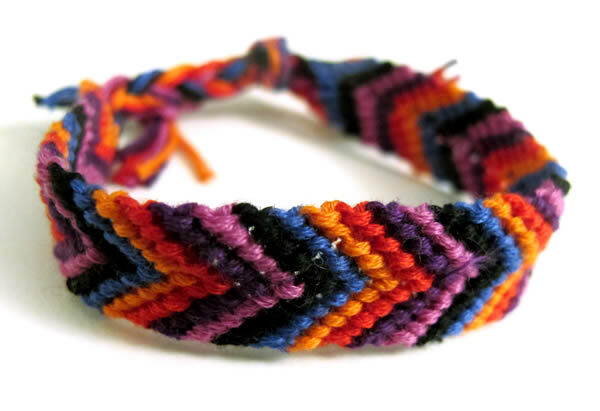 In this tutorial for Crafttuts+, I will explain how to create a simple six-color friendship bracelet in a V pattern. Accessorizing your iPhone with the perfect glamorized case has become the latest fashion obsession. 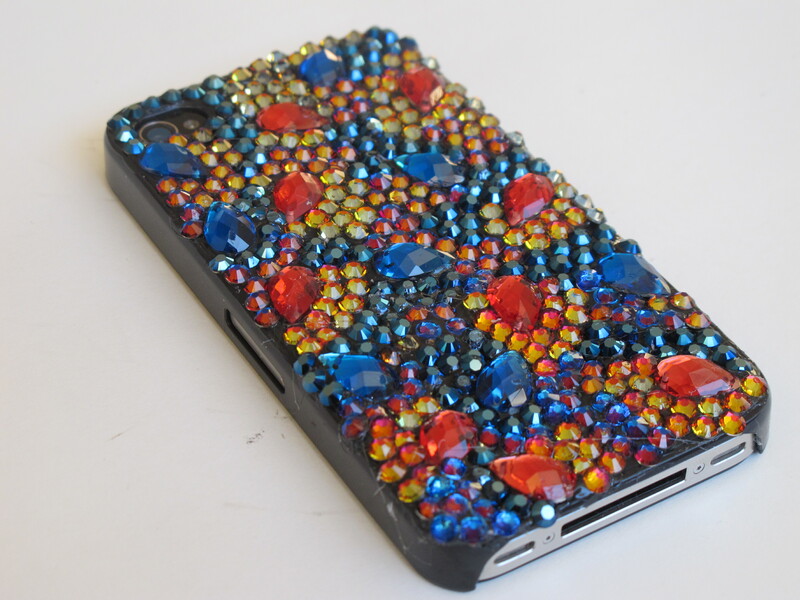 I recently published a tutorial on Crafttuts+ that explains how to embellish you own iPhone case with Swarovski crystals. Please take a look. © Hallie Friedman. All Rights Reserved.